During a presentation on autism to a third grade class today, our Outreach Coordinator received a rather amusing question, “Does Frankenstein have autism?” With Halloween so close it is certainly understandable why a child might pose such a question. Frankenstein is definitely different. He might not look the same as most people, or speak the same way, or act the same way. While this doesn’t necessarily mean Frankenstein has autism, one can understand why a child being introduced to autism for the first time might think so. 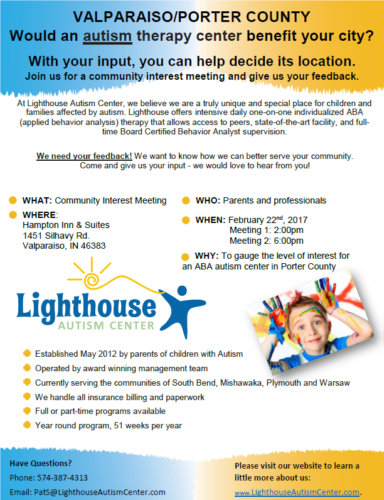 As part of the autism community, we believe it is our responsibility to not only fulfill our mission of providing quality ABA therapy to communities that need it, but we also to spread awareness about autism and educate our community. When a local grade school teacher approached us to give a presentation to her third grade class, we knew this is something we wanted to do, although we had never done it before! By educating our youth, we teach them about what autism is, what it looks like, and things to keep in mind when interacting with someone who has autism. While someone with autism might act differently, hear things differently, or see things differently, it doesn’t mean they can’t be our friend or can’t do the same things we do. It is important that children understand how to accept the differences that come with autism, or any other disability, disease, etc… and know that it is ok to be different. We are so glad to have had this opportunity to teach local children about autism and look forward to having the opportunity to do it again in the future. Online Course for Caregivers of Adults with Autism to Begin Next Week! The fourth round of the AGI Residential/Daily Living Support Coursewill begin Monday, June 23rd! This first-of-its-kind course, funded by a 2011 Autism Speaks grant to the Autistic Global Initiative of the Autism Research Institute, was developed by a team of 15 curriculum experts from across the United States and is instructed by world-renowned faculty. The Autistic Global Initiative is comprised of a committee of adults diagnosed with autism and is dedicated to fostering the development of adults on the autism spectrum and those who work with and for them. The 12-week online course, hosted by the Houlton Institute, provides evidence-based practices to those who support people with autism and related disabilities in daily living and residential settings. The course provides parents, siblings, family members, in-home support workers, agency support providers and volunteers from the community the foundational knowledge, competencies and tools necessary to support the daily living needs of transition aged students, young adults and adults with autism. The program is self-paced, facilitated by professors and includes lectures, videos, moderated discussions, activities, chat rooms, reading activities and more. The 12 topics covered include person-center approach to support adults with autism, learning and implementing evidence-based practices in residential settings, citizenship and community life, supporting safety. The cost of the course is $300 but scholarships are available. Center for Autism and Related Disorders (CARD) and Institute for Behavioral Training (IBT) today announced that they will partner to train first responders on how to approach and interact with individuals with autism spectrum disorder beginning in April for Autism Awareness Month. IBT has trained over 3,000 people across the United States and various countries since 2013. The free training titled, “Autism for First Responders,” will be presented in Fairport, N.Y. on April 30; Larchmont, N.Y. on April 30; Chicago, Ill. on April 23; Austin, Texas on April 26; Phoenix, Ariz. on April 28 and 29; Washington, D.C. on April 23; and in the following California cities, Sacramento on April 28, Fresno on April 25, Woodland Hills on April 24, Thousand Oaks on April 30, Tustin on May 1, Temecula on April 29, Riverside on April 28, and San Marcos on April 29. According to the new statistics released by the Centers for Disease Control and Prevention (CDC) on March 27, 2014, one in every 68 children in America is diagnosed with autism spectrum disorder (ASD), with one in 42 boys and one in 189 girls diagnosed. As more children, teens and adults are impacted by ASD, more police and other first responders will have interactions with the population. Individuals with autism may struggle to communicate, make appropriate eye contact or even respond to someone asking them their name. The behaviors that children and teens with ASD display vary greatly, which is why autism is described as a spectrum disorder. Parents and professionals agree that safety is a huge concern for everyone in this population as they may be easily distracted, lost or even elope from their school or surroundings. The “Autism for First Responders” training will enable emergency personnel to recognize the signs of ASD and react accordingly to minimize their own risk and that of the individuals with autism. The definition of much is relative depending on the circumstances that one comes from, sometimes it is simply being able to give the necessities, such as a hot meal and being able to share it with others. The families we served were very thankful and the experience was a gratifying one for all of us. Lighthouse will continue to support Hope Ministries with volunteer efforts and purchasing food for the mission. If you would like to help us and Hope help the community please take a look at their list of Urgently Needed Items and donate what you can today. They also are always in need of volunteers, find out more about volunteering here.